Michelle Karina Kyle (née Hunchak) began playing piano at age 4. At age 11, she began cello, and began playing piano professionally for five Ottawa dance studios. At age 16, she was assistant principal cellist of the Saskatoon Symphony. At age 17, she studied cello at Brandon University with Malcolm Tait. She completed her Bachelor of Music with Distinction at Wilfrid Laurier University, studying cello with Gisela Depkat and piano with Garth Beckett. She earned her Fellowship diploma from Trinity College of Music, London, England, considered equivalent to a doctorate in piano performance without dissertation, then completed a Master of Music in piano performance at McGill University, as a student of Tom Plaunt. Michelle has performed as a soloist with orchestra and has won performance awards on both instruments, including First Prize in the Edward Johnson Music Competition as a cellist, top prizes in the National Competitive Festival of Music as a chamber music pianist, and Saskatchewan Arts Board grants. Michelle won university awards in music, philosophy, law, computer science, and German. She was music director for professional theatre productions in Montreal and Port Dalhousie, and taught music at McGill University. She has been a rock climbing instructor, lawyer, photographer, and web developer, and bicycled over 7,200 km across Canada. Michelle created and was Artistic Director of The Birthday Series, a Toronto chamber concert series at Heliconian Hall; and the Heliconian Choir and Orchestra, new ensembles of the Toronto Heliconian Club, a meeting place for professional women in the arts and letters, founded in 1909. She was principal cellist of the Greater Toronto Philharmonic Orchestra from 2008-2011, and the pianist for the Bel Canto Singers from 2009-2011. In 2011, Michelle moved from Toronto to the countryside near Monkton, Ontario. She is now the pianist for St. Andrew's Presbyterian Church in Molesworth and the Joyful Voices community choir. Michelle also teaches animal reiki and teaches adult skills upgrading for the local school board. She enjoys country living with her husband, many cats, chickens and fish. 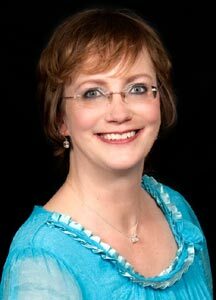 Michelle has has been performing for weddings and special events as a soloist and with her ensembles for over 20 years, throughout and beyond Ontario.